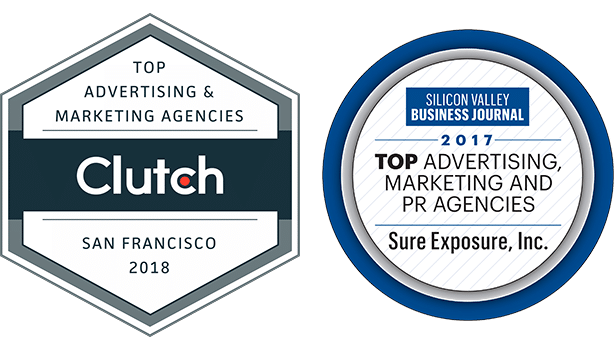 San Jose SEO Company // Sure Exposure, Inc.
You could have the best website, brilliant products, and low prices, but if your SEO is not done effectively, very few people will see your site. Search Engine Optimization (SEO) is a process that helps to increase and improve organic traffic to a website, thereby ensuring it performs better on the search engine results page (SERP). If done correctly, it will improve the amount of traffic on that page. There is fierce competition online. Many sites and business are vying for a consumer’s attention. Sites that do not appear near the top of the SERP will not be seen. The media are losing their relevance for marketers and advertisers. The focus is now on online marketing. Your site should form the center of this. When people investigate or purchase a product, the majority will do an online search. If your SEO is poor, most people will not see your website and you will lose business. SEO provides a cost-effective way to market your business online and increase traffic to your site. SEO is a dynamic discipline that is constantly changing and evolving. It is the result of numerous steps that need to be combined in the correct order. Keywords and backlinks are important as are the site’s design and function. It also needs to be user-friendly, fast loading, eye-catching and optimized for mobile devices. SEO is not static. Top-ranked San Jose Search Engine Optimization Company. Large search engines, such as Google, are constantly evolving and developing. It is important that whoever does the SEO is a specialist and is constantly keeping the site up-to-date. As consumer habits change and mobile devices become more prolific, local searches have become more relevant. The SEO company not only has to have SEO experts but also they must be skilled in local SEO and know the relevant area. In other words, an SEO company in India or Eastern Europe might be great at SEO, but unable to master the subtle requirements to be successful at San Jose SEO. The people optimizing the page or content need to understand the local environment. They must have a network of partners or associates with whom they work to better market and optimize your content. We offer flexible plans based on the number of keywords needed for the campaign. They are affordable and provide a great ROI. We offer a month-to-month contract service and recommend a six-month minimum of paid service to maximize your online exposure. Call today and let us show you what we can do for your business.